The kingdom of Bahrain may be small in size, but it is definitely a grand country. Enjoying a strategic location in the heart of the Arabian Gulf, Bahrain offers a truly cosmopolitan lifestyle. This is one of the reasons why I love Bahrain. It is not the only reason though, neither am I the only person who loves Bahrain. It has been chosen as the best destination for expats after all! Justly named the pearl of the Arabian Gulf, Bahrain is a well-loved country. 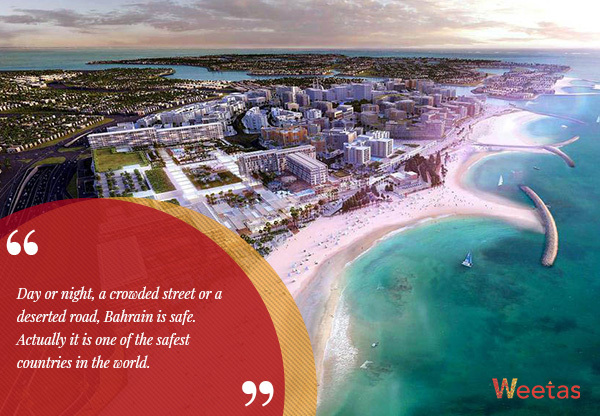 So let’s take a look at some of the numerous reasons why I and many others love Bahrain. Whether you want to rent or buy, Bahrain offers some of the most reasonably priced upscale residential units in the GCC. 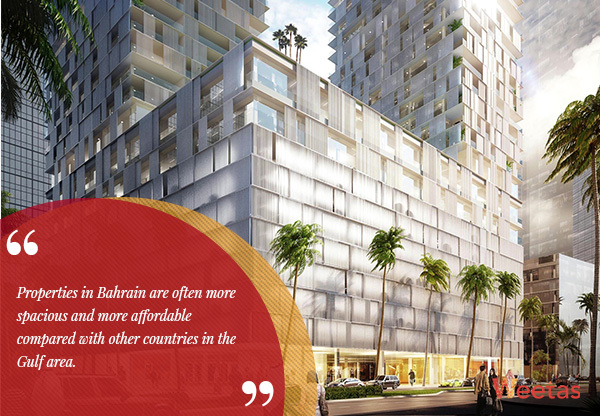 Properties in Bahrain are often more spacious and more affordable compared with other countries in the Gulf area. And as the kingdom is actually an archipelago, many properties offer stunning sea views. With the price of an apartment in other large GCC cities, you can often buy a villa with a stunning view in Bahrain. What’s not to love! Moreover, there are now many freehold zones in the kingdom where expats are allowed to buy property. They are first-rate areas with amazing lifestyle, great amenities and premium facilities, a wonderful home and a great investment indeed. 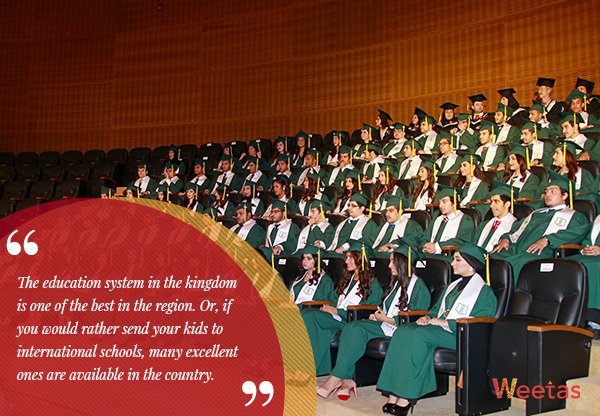 The education system in the kingdom is one of the best in the region. Or, if you would rather send your kids to international schools, many excellent ones are available in the country. Several of which have accepted awards for their outstanding academic achievements. This is one of the reasons why many families love Bahrain, and why many expats choose to bring their families along and call Bahrain their new home. 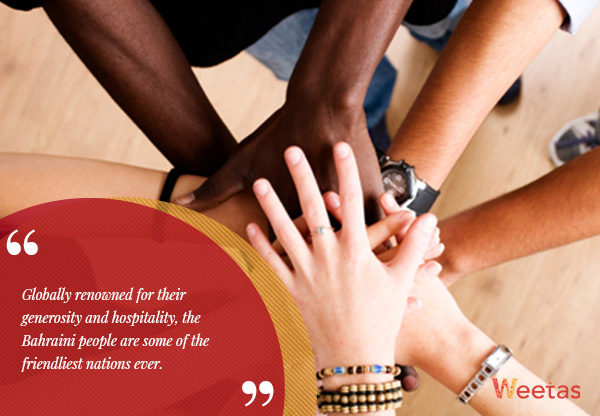 Globally renowned for their generosity and hospitality, the Bahraini people are some of the friendliest nations ever. A business or social affair, it does not really matter, I have never met a Bahraini who was not friendly and down to earth. And the same goes for the expat community in Bahrain, the generally laid back nature of the kingdom and the premium quality of life make everyone in Bahrain just as friendly. If this is your first time in Bahrain fret not, you will be guided and helped by both locals as well as expats until you are settled. By then, you will be more than happy to pay it forward. This friendly community is one of the top reasons why I love Bahrain. Everyone is happy here! Restaurants in Bahrain are varied and plentiful; you can basically find everything in the kingdom. Craving authentic Thai food? Want to try the scrumptious Bahraini dessert? Looking for a fine dining restaurant to take your wife on a date? You can find all that and much more in Bahrain. The multicultural community in Bahrain has resulted in a brilliant diverse food scene. 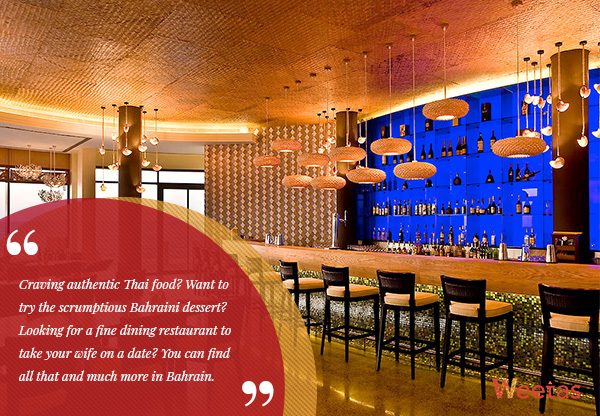 This has made the pearl of the Gulf a true haven for foodies. And since I really love food, I love Bahrain for giving us the food scene of our dreams. 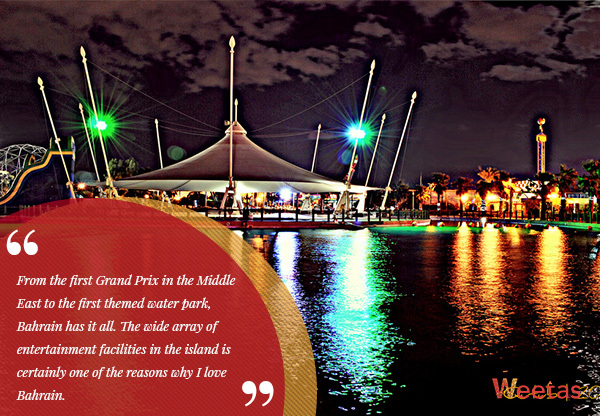 From the first Grand Prix in the Middle East to the first themed water park, Bahrain has it all. The wide array of entertainment facilities in the island is certainly one of the reasons why I love Bahrain. Bahrain has been a tourism destination for many years, which means that entertainment facilities in the kingdom are abundant. You can find everything from art galleries to museums to theaters and theme parks. And let’s not forget the marvelous beaches of the island, which you can enjoy year round because of the warm weather in the winter. Furthermore, Bahrain is the land of the ancient Dilmun civilization, which means that culture enthusiasts can enjoy the well-preserved relics and artifacts. In addition to all that, because of the multicultural community in Bahrain, you will find all sorts of activities and festivities celebrated from around the globe; Chrismas is as big of a deal as Eid. Day or night, a crowded street or a deserted road, Bahrain is safe. Actually, it is one of the safest countries in the world. In fact, the country is so safe that you can let your kids play in the park nearby without having to worry about them or ride their bikes if you live in one of the many communities with bicycle paths and walkways. Many expat women have reported that coupled with the fact that women are truly appreciated and respected in the workforce here, this is one of the main reasons why they love Bahrain. A beautiful country where you can build a career and enjoy life without having to watch over your shoulder is definitely a place to love.